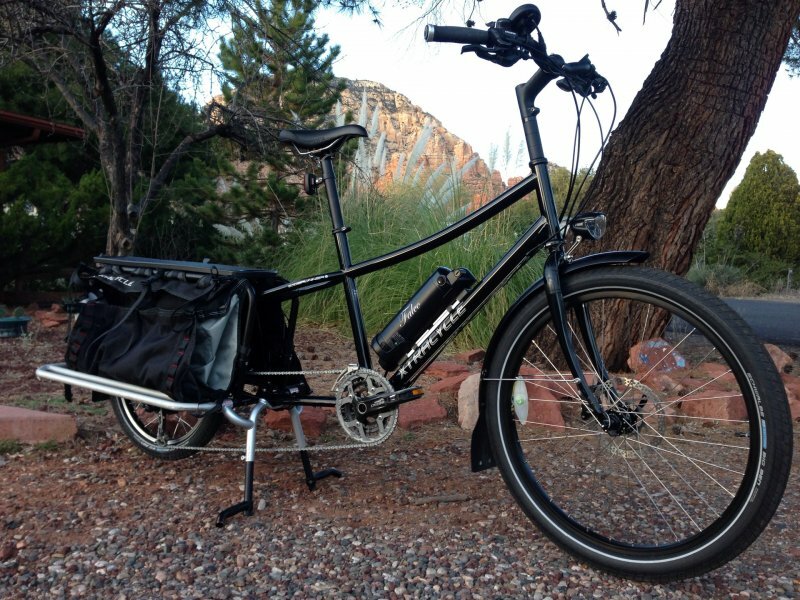 The Xtracycle EdgeRunner cargo bike with Falco eMotors 500 watt electric bike kit is in for testing and review! 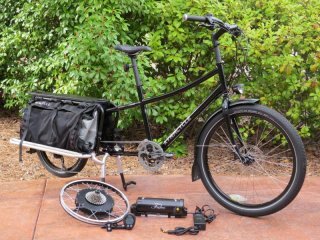 The EdgeRunner is a versatile “longtail” cargo bike with many accessories options that help with carrying cargo and/or people. Added to that is the Falco eMotors 500 watt motor and 36V 11.6 ah lithium ion battery. 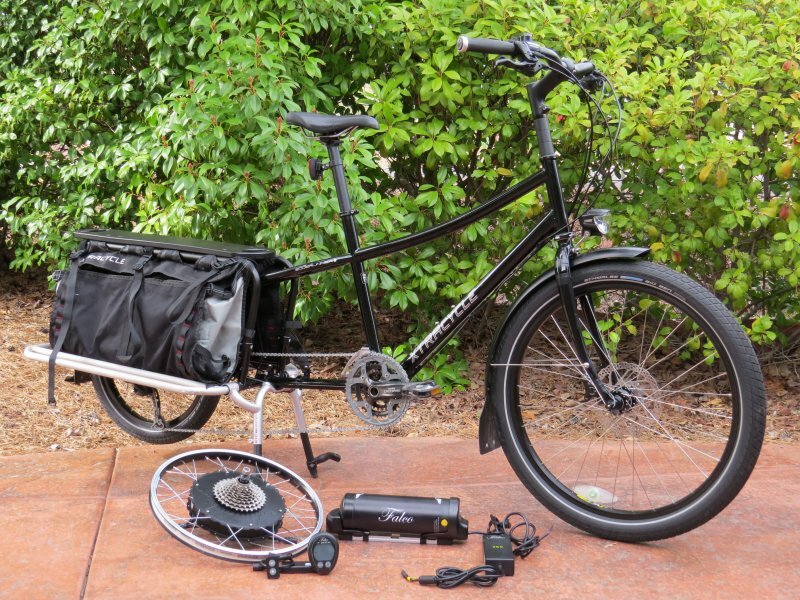 The Falco kit is pretty high tech with a 5 phase motor, wireless display, and the ability to fine tune the kits performance with computer software (wirelessly).